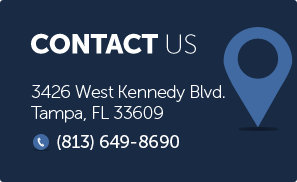 If you were placed on probation for your DUI charge in the Tampa area, and have recently been told you have a warrant for a violation of probation – or if you have already been arrested for a violation of probation – you will need an attorney to help you with the charge. A Violation of Probation can be very serious and may subject you to significant jail time. The attorneys of Finebloom, Haenel & Higgins can help you achieve the best possible outcome for your situation. When you are convicted of DUI you are placed on probation. The purpose of probation is to supervise you to make sure that you complete all of the conditions given to you by the judge. These conditions usually include Dui School, public service hours, and fines. In order to make sure you do all of these things you are required to meet with a probation officer once a month. Another condition of your probation is to abide by the law and not commit any more crimes. If you fail to do the things the judge told you to do, or if you do not report monthly to your probation officer, or if you are arrested while on probation, then it is a violation. How will the Court known I violated? If you do something on probation that violates the terms given to you by the judge, your probation officer issues an “Affidavit of Violation of Probation.” In the affidavit, the probation officer lists all of the things they believe you have done wrong. They then forward this affidavit to the judge for review. If the judge finds the affidavit sufficient, then the judge will sign a warrant (or in some cases a summons) for a violation of probation to be filed with the clerk. That is then processed and your criminal case is reopened to address the violation. Is it a separate criminal charge on my record? Yes. The case number for your violation will be the same as your initial DUI charge. But it will show up as a separate charge on your criminal record. In most cases the judge will issue an actual warrant for your arrest if you violate probation. This means you will be arrested and taken to jail. However, the judge does have discretion. In some instances the judge will issue a summons, or notice to appear instead of a warrant. This will be served to you by the sheriff or by U.S. Mail. In the notice it will inform you of the violation and require your presence in court. IF YOU ARE ARRESTED IT IS IMPORTANT TO KNOW THAT THE LAW DOES NOT REQUIRE YOU BE GIVEN A BOND! Under the current Florida law, a person accused of violating probation, even misdemeanor probation, is not entitled to any form of bond. This means it is possible that you could remain in jail until your next court date. What is the difference between a substantive and a technical violation? There are two general categories of violations. They are substantive and technical. Depending on the judge, one may be considered more serious than the other. Substantive violations are new law violations. This means you have committed a new crime or offense while out on probation. Technical violations are violations such as not completing DUI School on time, failing to pay a fine, or not passing a drug test. Both are violations, and both can cause you to go to jail if you are not properly represented. How is a violation proven in court? In order to prove the charge of a violation of probation, the State must show that you have willfully violated. This means you did it willfully or on purpose. In order to determine if your violation was willful you are entitled to a violation of probation hearing. At the hearing the State need only prove by a preponderance of the evidence that you had the ability to do the terms of your probation but you did not. Preponderance means that it is just a little more likely than not that you violated. It is not the same standard as your criminal case. If you have committed a substantive violation, or a new law violation, the issues can be much more complex. If you have a new law violation it is important to contact an attorney immediately to discuss all aspects of your violation case immediately as it can affect your defense of your new charge as well!! Are there any defenses to a violation of probation? Yes. As stated before the State must show the violation was willful. To defend against a violation it is important to have an attorney who can present the factors of your life that made it impossible for you to complete the terms. Basically, the attorney needs to show that it was beyond your means to complete the terms of your probation. What if my DUI was charged as a felony and I violate probation? If you were put on probation for a felony DUI it is imperative that you contact competent representation now!! Felony violation of probation cases are very serious and can result in prison terms. The process is still the same, but the stakes are much, much higher!! Also, in a felony violation of probation hearing your probation officer will have much more say than that of a misdemeanor probation officer. Only a good attorney can make the proper objections to try to limit the input of that officer during a hearing. If you or a loved one has learned that they are going to be violated, or has already been arrested or served with a violation of probation you can contact an attorney at Finebloom, Haenel & Higgins 24/7 to discuss your options. Our attorneys have years of experience in probation defense. We have the skills and the knowledge to help you challenge your violation. Call us now at 813-200-4421. Our attorneys are standing by to speak with you.